Bondcliff "Cliffs of Bond" is located deep in the Pemigewasset Wilderness and has some of the most spectacular views in all of the White Mountains. The summit has magnificient ledges that drop sharply into Hellgate Ravine between Bondcliff, Bond and West Bond. 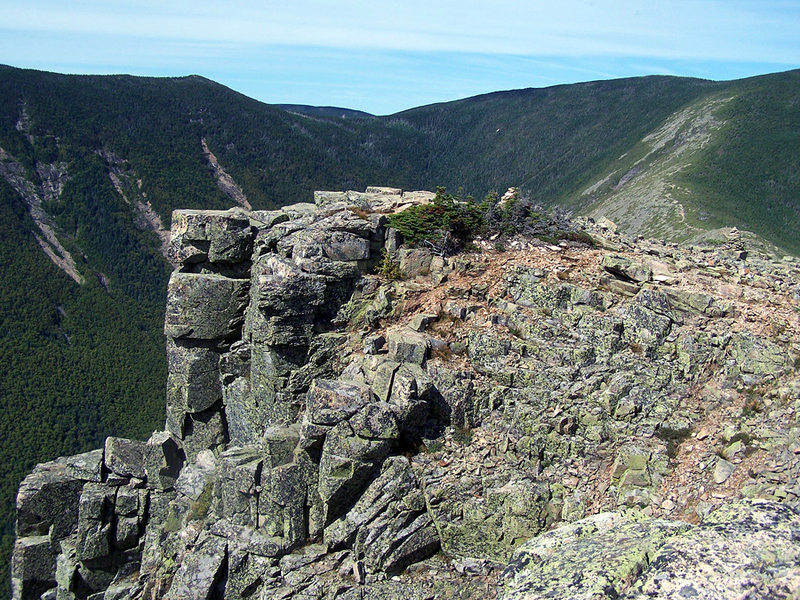 There is only one trail to the summit of Bondcliff, the Bondcliff Trail via the Lincoln Woods/Wilderness Trail (9.5 miles, elevation gain of 3,100 feet). The LW/W Trail is flat and not too exciting and the Bondcliff Trail is a long but a moderate hike up to Bondcliff with only one steep section and a short rock pitch just below treeline. The trail has ok to rough footing and the lower section can become quite muddy.